My Marco Polo adventures | Thoughts – HEY! China has always been on my travel bucket list. So when an opportunity came up to go on exchange with a university there, I was definitely not going to let it pass. 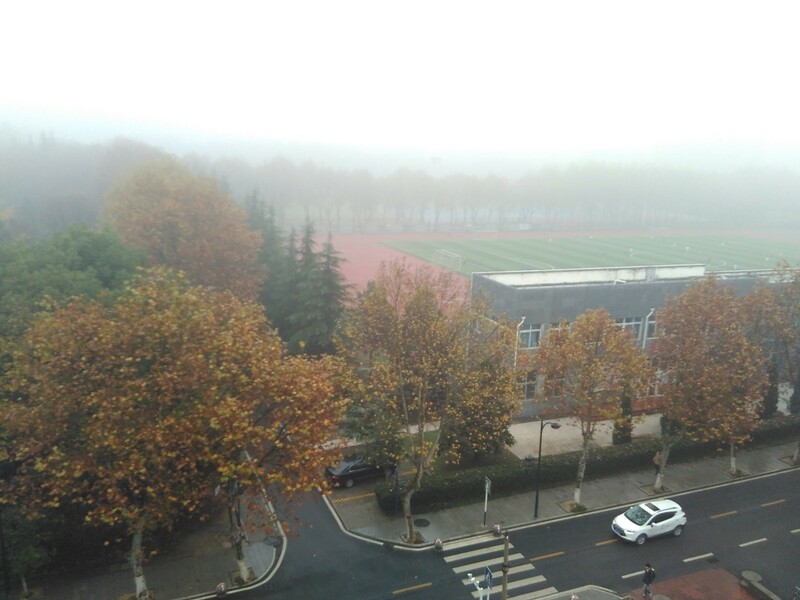 In a regular meeting with my professor one day, he asked if I would like to go for a short exchange programme to study at Hefei University of Technology. For a split second, I thought he was kidding, so I jokingly said “yes”. Little did I know he was serious and three weeks after that meeting, I found myself boarding a plane to China. As a first-time traveller in China, I experienced many new things during my exchange and also ran into a few hiccups. I climbed up to the school’s rooftop and was rewarded with this beautiful view. Hefei University of Technology is one of the major universities in the Anhui region and it has a competitive materials research facility. I spent most of my time learning about the facilities, including how to use the equipment. Apart from that, I had a great time touring the area in and around the campus. It was not yet winter, but the temperature had already started to drop to freezing point, even reaching sub-zero temperatures, with very cold winds. The torrential rains made it worse. Having lived in warm and sunny Singapore for a long time, this was a welcome change for me and I enjoyed the cold to the fullest. The best part was when I experienced snowfall for the first time in my life. It happened when we came out after dinner one day. I saw cotton-like snow drizzling gently everywhere. I can still remember clutching some snow and feeling how soft it was. 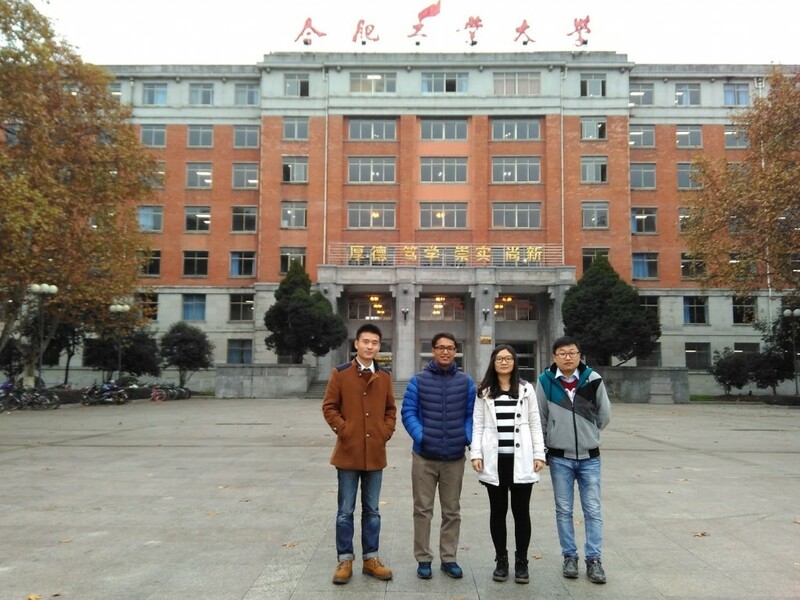 Here I am with my newfound friends in front of the main teaching building at Hefei University of Technology. During my trip, I had to overcome the language barrier. Almost everyone I met spoke Chinese and very few university students could speak and understand English well. To make matters worse, all the road signs and menus – almost everything in fact – was written in Chinese. So, I had to rely on gestures to communicate. There were times when I tried asking for directions and the person could not understand a word. Fortunately, the students at my host university helped me a lot. They got me from place to place and even ordered my food. Although they spoke little English, they tried their best to make me feel at home. We quickly became good pals and travelled to many interesting places together, such as Lord Bao’s Temple and the Anhui Provincial Museum. 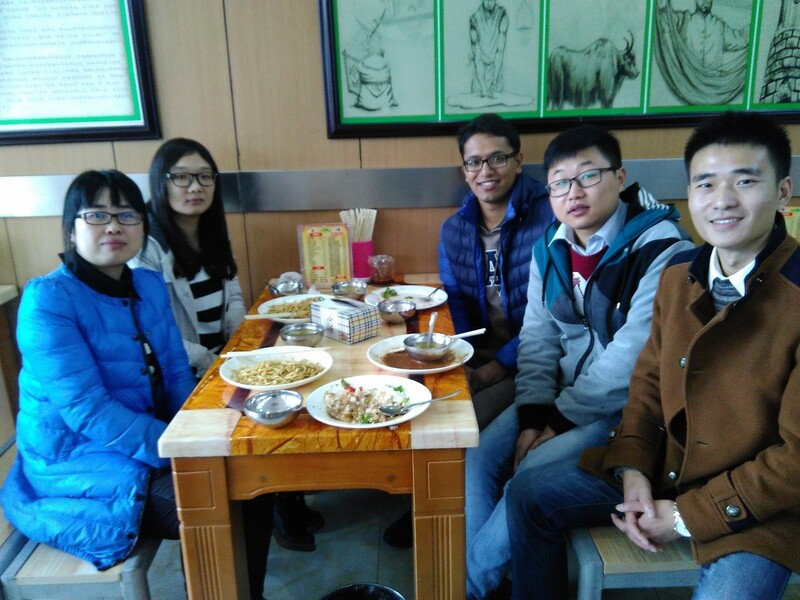 I sampled different Chinese foods, and we shared jokes and had a fantastic time. I even got a farewell dinner party. It was wonderful to have received such warm hospitality and love. Here we are at Lord Bao Temple on one of our sightseeing trips. China is a booming country with a history dating back thousands of years to the very start of civilisation. It was amazing to see how the country managed to retain its cultural roots against the backdrop of flourishing urbanisation. 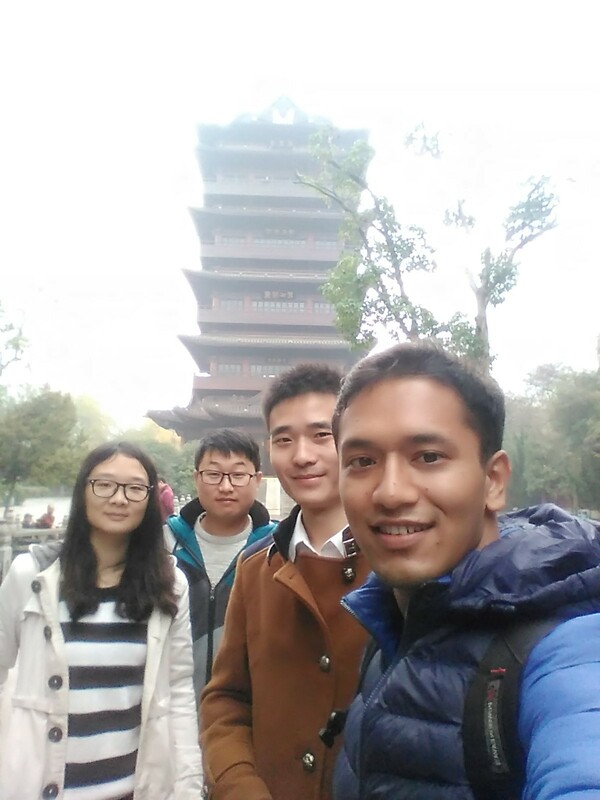 I managed to visit a few historical places in Hefei and Nanjing and was wowed by the magnificent history. China is rich with stories of war, revolution and sacrifice, and its way of life has made me admire its diversity. All in all, not only have I learnt new things during this visit, I made many friends and memories worth cherishing for a lifetime. 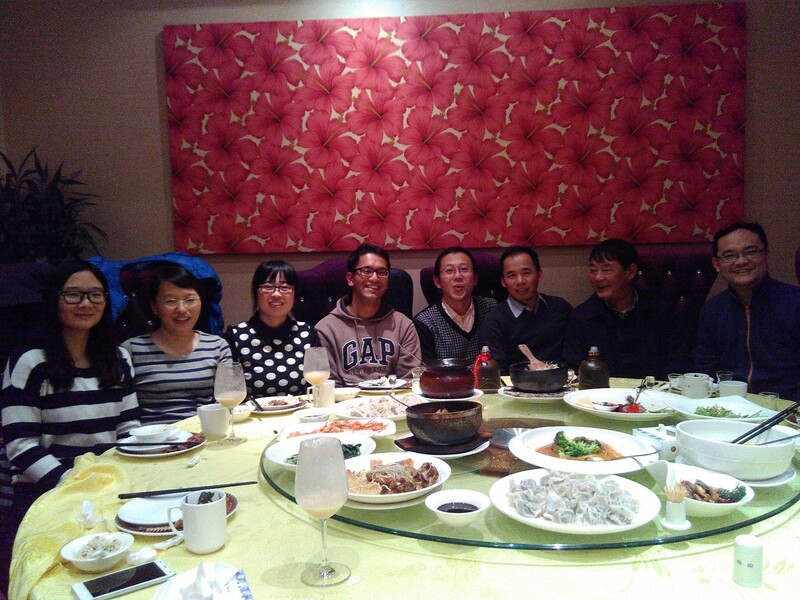 There’s nothing better than having a heartwarming meal with my lovely professors and fellow students. A sumptuous Chinese lunch with my new friends. This entry was posted in Exchange, Learning, Miscellaneous, Research, Travel. Bookmark the permalink. ← What’s buzzing at The Hive?